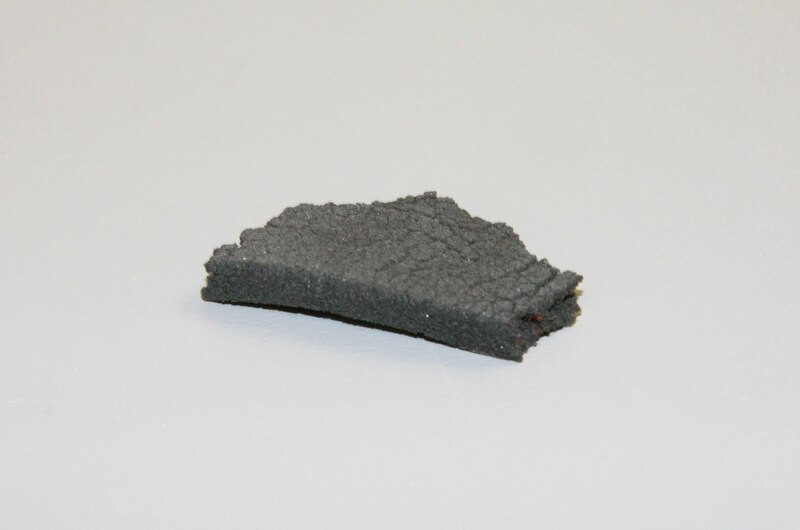 Gasket performance hinges on the integrity of the gasket material over its life expectancy. Two significant elements that can be detrimental to gasket life and integrity are Ultraviolet light (UV) and ozone. Degradation due to UV, oxidation and ozone is most prevalent in organic rubber materials such as Buna, natural rubber, synthetic isoprene. Organic polymer formulations can improve resistance; for example, neoprene has moderate resistance and EPDM is very resistant to UV and ozone. Often UV, oxidation and ozone are lumped together because they both attack the carbon bonds in the polymer. Rubber degradation often appears as cracking, flaking, drying and stiffening of the material; all of these can lead to gasket / equipment failure. When specifying a gasket material the overall life of the equipment should be considered. If life expectancy is short or regular maintenance (replacement) is scheduled, many of the organic rubber materials will work. If life expectancy is longer (5, 10, 20 years), then material selection is critical. Silicone rubber is top performer, with excellent UV and ozone resistance. Since silicone is inorganic it does not have the carbon backbone in its polymer structure that makes the organic polymers prone to being attacked. Most applications where UV, oxidation and ozone are of concern are outdoor installations such as telecommunication base stations, NEMA enclosures, fiber optic enclosures, LED and solid state light housings, where life expectancy is paramount. Critical, long term gasket design must take UV, oxidation and ozone into consideration (as well as compression set and stress relaxation). Engineered silicone rubber materials such as the Rogers HT-800 family (HT-870, HT-820, HT-840, BF-1000 and BF-2000) and Saint-Gobain R-104XX family (R-10470, R-10480, R-10490, R-10450, R-10404, R-10400) have been thoroughly tested for outdoor applications and meet a wide range of specifications such as UL, ASTM and MIL-STD-810. For applications assistance or more information about UV and ozone resistant gaskets and outdoor gasket materials, please call Stockwell Elastomerics at 215-335-3005 or complete a contact form for assistance.